This flyer is being distributed by supporters of Republican Nunzio Previtera who is running against Democrat Diego Bernal in the Texas House District 123 race. 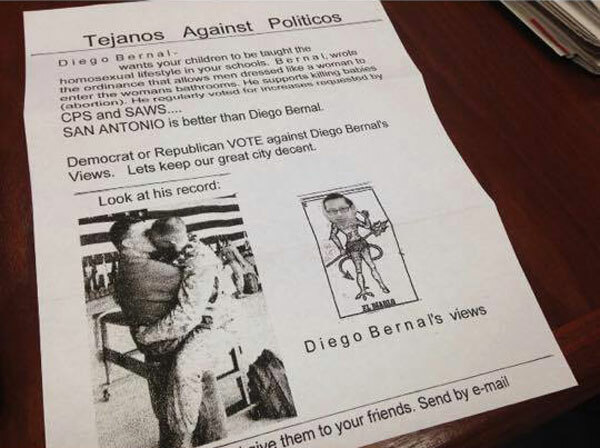 A group of supporters of Republican candidate Nunzio Previtera, calling themselves Tejanos Against Politicos, is distributing a flyer to voters in Texas House District 123 that shows two men kissing and former City Councilman Diego Bernal, Previtera’s Democratic rival in the race, depicted as “El Diablo,” the devil. 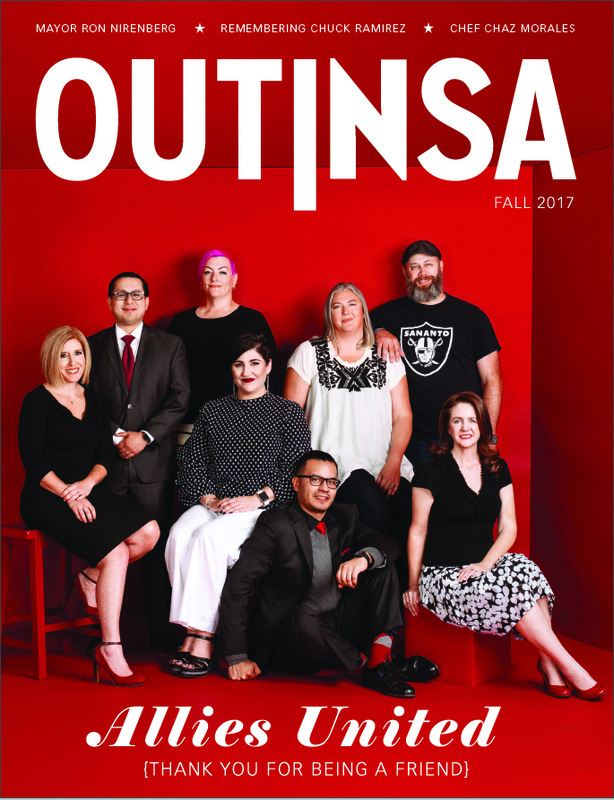 Diego Bernal – wants your children to be taught the homosexual lifestyle in your schools. Bernal, wrote the ordinance that allows men dressed like a woman to enter the woman’s bathrooms. He supports killing babies (abortion). He regularly voted for increases requested by CPS and SAWS. San Antonio is better than Diego Bernal. Democrat or Republican vote against Diego Bernal’s Views. Lets keep our great city decent. The flyer goes on to tell voters to spread the message to their friends. Yesterday, Governor Greg Abbott endorsed Previtera who many political observers think will most likely lose the race in the heavily Democratic district. Tags Diego Bernal, Nunzio Previtera, Tejano Against Politicos. Diego Bernal, Nunzio Previtera, Tejano Against Politicos.